Dr. Rhonda Patrick makes her fifth appearance on the Joe Rogan Experience. 00:03:30 - Running improves short-term and long-term memory. Press release. 00:04:55 - Joe's reflections on the difficulties he experienced running a 5k race in Las Vegas without training. 00:06:40 - Mental and physical challenges can help people become "super-agers." 00:06:55 - Humans begin losing brain mass during their 20s – as much as 20% by the age of 100. Study. 00:07:50 - 20 minutes of intense exercise can increase BDNF (brain-derived neurotrophic factor.) Study. 00:10:10 - Aerobic exercises like running activate brain areas involved in executive function. Study. 00:10:45 - People face unique challenges while living in the 21st century with a brain that evolved during prehistoric times. 00:13:35 - Humans are programmed to deal with stress and could benefit from turning on the "genetic switches" that respond to stress, a process called hormesis. 00:18:20 - The emotional highs and lows Rhonda experiences when entering the "monster soup" during surfing. 00:26:00 - Controversies of shark fishing, and the health risks of heavy metals in fish. 00:30:20 - Garlic binds mercury so it can be excreted from the body. Study. 00:31:20 - How pungent compounds in plants have hormetic effects. 00:32:30 - How sulforaphane is formed. 00:33:35 - Broccoli sprouts provide as much as 100 times more sulforaphane per weight than mature broccoli. Study. 00:35:40 - Sulforaphane improved behaviors associated with autism in young adults in a clinical study. Study. 00:36:50 - Sulforaphane worked as well as Prozac in treating symptoms of depression in mice. Study. 00:37:40 - Sulforaphane is the most potent naturally-occurring activator of the Nrf2 pathway. Study. 00:39:10 - Sulforaphane slowed the progression of prostate cancer. Study. 00:40:05 - Sulforaphane increased excretion of the air pollutant benzene. Study. 00:41:40 - Sulforaphane decreased the inflammatory biomarker CRP (C-reactive protein). Study. 00:42:05 - Sulforaphane lowered triglycerides and LDL and improved blood sugar levels in people with type 2 diabetes. Study. 00:43:40 - Rhonda's comprehensive video about sulforaphane. See FMF episode. 00:44:35 - Rhonda's interview with sulforaphane expert Dr. Jed Fahey. See FMF episode with Dr. Jed Fahey. 00:44:55 - Myrosinase, responsible for converting the precursor glucoraphanin to sulforaphane, is inactivated by cooking but can be rescued partially by gut bacteria or added separately with mustard powder. 00:48:50 - Purchased broccoli sprouts are prone to bacterial contamination but a person can grow their own. 00:51:00 - Things to consider when taking sulforaphane supplements. 00:57:50 - Poor mental health is correlated with malnutrition. 00:58:00 - Inflammation is a causal factor in depression. Study. 00:58:40 - According to the CDC, approximately 11% of Americans take some form of antidepressant. Data. 00:59:00 - Antidepressants were only 10% more effective than placebos. Study. 01:02:50 - Antidepressants affect libido. Study. 01:08:20 - Injection with inflammatory endotoxin or the pro-inflammatory cytokine interferon gamma caused depression. Study. 01:09:35 - The omega-3 fatty acid EPA alleviated inflammation-induced depression. Study. 01:10:34 - Injection with a pro-inflammatory cytokine disrupted dopamine production in the brain. Study. 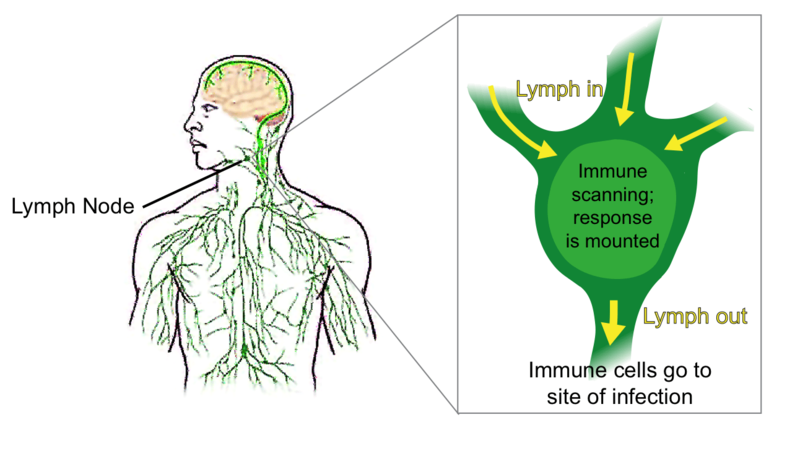 01:11:15 - The lymphatic system is connected to the brain through the meninges. Study. 01:14:10 - The struggle conventional medicine faces in keeping up with current research. 01:16:42 - Inflammation causes tryptophan – the precursor to serotonin – to be reallocated to kynurenine, which then turns into the neurotoxin quinolinic acid, leading to depression. Study. 01:18:00 - The many ways exercise and lifestyle can combat depression. 01:20:00 - The struggle of changing habits and the risk of developing a negative mindset. 01:21:45 - Exercise improves executive function of the brain and inhibits the amygdala area. Study. 01:30:00 - "Brain zapping" (transcranial direct current stimulation) activates motivational pathways. Press release 1; Press release 2. 01:35:00 - Joe's theories about what makes an individual who they are. 01:40:00 - How a person can mold their own body and mind, viewing the body as an ecosystem that they regulate. 01:44:15 - The Steven Pressfield book, "The War of Art," which describes the resistance people experience regarding creativity. 01:47:10 - Nicotinamide riboside and nicotinamide mononucleotide (precursors of NAD and vitamin B3) delayed aging in animal models. 01:50:10 - Nicotinamide riboside increased NAD in humans in a clinical trial. Study. 01:51:00 - Elysium supplements contain pterostilbene, resveratrol, and nicotinamide riboside. 01:54:00 - Pterostilbine increases gut microbes that convert ellagitannins to urolithin A, which induces mitophagy. Press release. 01:57:05 - Rhonda explains the process of mitophagy – the clearing away of damaged mitochondria. 01:58:40 - The trend of using transfused blood from young people to slow aging. 02:04:20 - GDNF-11, a growth factor in young people's blood, may slow aging. New Scientist article. 02:04:54 - Vcam-1, a protein in older people's blood, may speed aging. New Scientist article. 02:06:10 - Some people, like Tom Cruise and Keanu Reeves, seem to defy aging. 02:08:15 - One 12-ounce can of sugar-sweetened soft drink per day shortened telomere length, corresponding to 4.6 years of biological aging. Article. 02:10:05 - Joe's experience with a shoulder injury and stem cell injections, and the amazing potential in placental stem cells. 02:12:20 - Joe's doctor and the company that prepares stem cells for injection. 02:16:10 - Myostatin inhibitors out-perform steroids in terms of muscle development and slowed aging. 02:20:30 - How supplement companies use deceptive before and after workout pics. 02:22:30 - Scientist Aubrey De Grey and Rhonda differ on the role of nutrition in aging. Episode. 02:24:40 - The importance of extending healthspan and not just lifespan. 02:27:30 - How time-restricted eating helps develop greater muscle mass and improve endurance. 02:32:20 - Kevin Rose's app called "Zero" that helps track time-restricted eating windows. Article. 02:33:40 - People can volunteer to participate in time-restricted eating research via mobile app. Sign-up page. 02:40:00 - Shift workers are more likely to develop cancer and type 2 diabetes. Study. 02:44:20 - The controversies surrounding saturated fat. See FMF episode. 02:46:00 - Statins can cause muscle atrophy. Study. 02:47:00 - How sugar companies paid researchers for decades to falsify research about saturated fats in order to promote sugar consumption. 02:49:50 - The health risks associated with intake of trans fats. 02:52:40 - Refined sugar intake increased levels of small, dense LDL particles and inflammatory biomarkers in a clinical study. Study. 02:53:33 - Dr. Ron Krauss created a lab test, called the Ion Mobility Assay, to measure different LDL particle sizes. See FMF episode with Dr. Krauss.